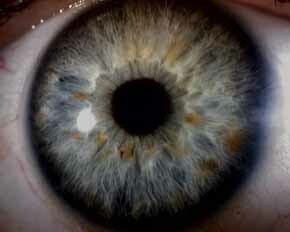 A great way to enter and start performing iridology at a very low cost. The PROFESSIONAL IRISCOPE CAMERA is our most popular iriscope camera system. 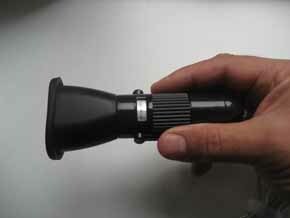 It is designed for the professional iridologist who requires the ability to capture iris images. It does not include a computer. Connects only to your own computer through the USB port. No other power source is needed. 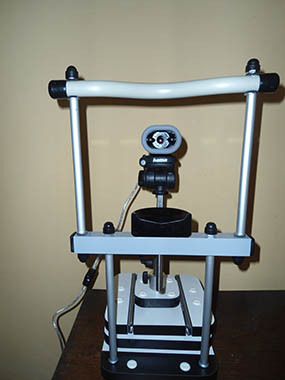 The Professional Iriscope Camera System has been designed and developed by Frank Navratil BSc. N.D. world-renowned iridologist, naturopath and clinical nutritionist. 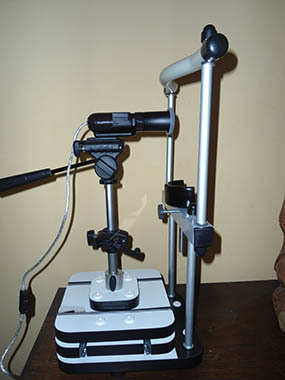 The iriscope camera is an instrument designed for iridology students or practitioners. It offers a quick, effective and economical method to capture good quality digital iris images without going into the expense of purchasing existing systems currently on the market that can often cost double the price or much more. The system comes complete with everything you need to capture digital photographs except a computer. It includes a client stand with forehead support and adjustable chin rest, a high resolution digital camera and macro-lens designed for close-up capture of the human iris. The camera is mounted on a multidirectional monopod platform offering camera movement up and down, right and left, forward and backward and camera tilting. The tilting function offers the ability to adjust to discrepancies in table balance or to offer additional assistance to focus on hard to capture areas. Video capture software is included that connects the digital camera system to your laptop or desktop PC via the USB port so you see the image directly as you take the snapshot on your computer screen. 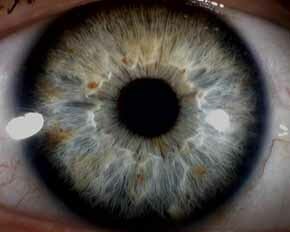 No looking through a tiny display as found in most digital iridology cameras. A simple press of a button by the click of your mouse captures your image. 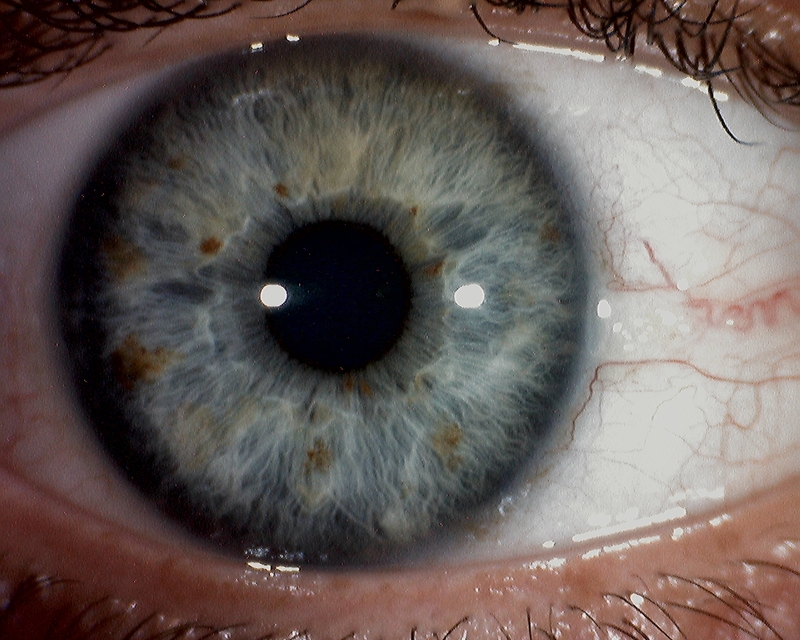 The image is then available for analysis via whatever iridology software you decide to use (we recommend the FYEO PRO software), stored in the memory of your computer or can be printed directly on your printer. No tedious time consuming downloading to your computer as found in most iriscope cameras on the market. The images are there in your computer immediately after you take them. The sliding multi-directional base allows the user to quickly move the camera up to the correct height and then from right eye to left eye and forward or backwards to focus in on the object. Fine focusing is accomplished by the focus rotation dial on the digital camera unit. The system comes complete with image capture software that can be easily installed downloaded online in a matter of minutes. The hardware inputs into the USB port at the back of your desktop or laptop PC computer. The software opens up to a screen where you can view the iris directly on your computer. When you have the object in focus, still images are then captured by a simple click of your mouse or the snapshot button. The video software also allows a variety of adjustments to the image including color, brightness, sharpness, as well as many other functions. 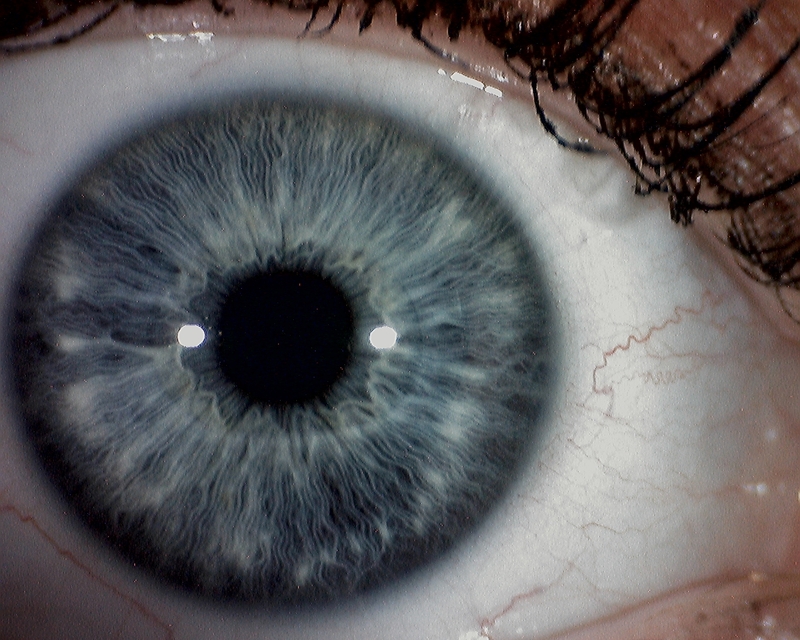 The images can be saved in a variety of formats including JPEG or BMP allowing easy transfer to other iridology analysis programs such as the FYEO PRO software. The images can also be directly printed on your printer. The client stand supports the multi-directional base and forehead and chin support assembly. Rubber non-sliding legs are included for maximum stability. The base is contoured with smooth rounded edges for maximum safety. The forehead and chin support assembly can be easily mounted on the client stand and is firmly secured by 2 locking screws. The frame is made from durable lightweight coated aluminum. The chin rest is made from hard plastic so it can be easily wiped down to maintain hygiene after each client. It can be adjusted up or down and locked in position by the chin rest locking screw stabilizing the lower head while still allowing maximum comfort for your client. The plastic forehead support can also be wiped down, is contoured for safety and comfort and allows stability of the upper head while capturing the image. The combination of forehead support and chin support provide for maximum comfort and stability for capture of consistent high-quality images. 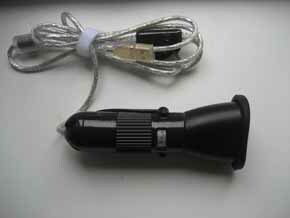 The system comes with an internal adjustable 2 LED light source. It allows maximum light for capture of iris images and includes an adjustable dimmer. No replacement light bulbs are needed. This system is by far the world´s most portable and compact on the market. It can be dismounted in seconds to lie flat and be stored in its travelling bag. Its lightweight construction allows travel to whatever destination your work takes you. Since it runs only off the USB port of your computer, it does not require any other power source so it can be used anywhere in the world. The base of the system is roughly the size of a regular piece of paper (A4 size) with ability to fit into even the tightest places. The system comes with a stylish attractive bag with carrying handle, allowing you to take it with you whenever you need to travel with your work. The entire system and bag only weights about 4 kg / 9 pounds. The system can be assembled in approximately one minute. Initial download of the Video Capture software into your computer takes only a few minutes. Once installed, you only have to plug the system into your USB port of your computer and you are ready to start taking digital photographs immediately. The Professional Iriscope Camera comes complete with a full 12 month international guarantee, covering workmanship, parts and labor. If any part is defective you need only to send us the part and we will repair or send a replacement absolutely free of charge if within the warranty period. After the 12 month period full back-up service is assured. There are no refunds.